In the poem Inferno by Dante which is based on Christianity, he is lost around mountains surrounded by a lion, leopard as well as a she-wolf. 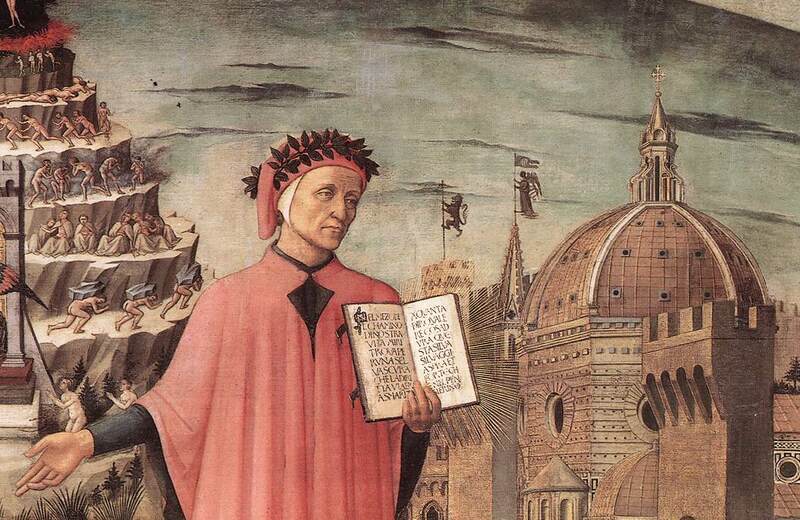 This paper will be examining the inconsistence in two poems.Dante’s Inferno depictions of hell and paradise lost depiction of Satan are not consistent because there are too many theories revolving around them. The presence of the animals surrounding Dante on the way to hell symbolizes the danger zone hell is and one cannot easily evade being there once you find yourself surrounded by such animals. This depiction about hell is inconsistent because one has to stop living like a human being through death after which the person’s soul either heads to heaven or to hell with respect to ones past actions back in earth. Once a human being dies there is no second chance to life, thus once one is subject to hell there is no way he/she can avoid being there (Lovett 1). At the entrance gate to hell there is a phrase that reads “abandon all hope, ye who enter here”. This depiction of hell is true because those who go there were sinners back in earth and have no hopes of ever leaving the place since they will forever be subjects to humiliation. Hell is also divided into nine phases which are arranged with the hierarchy of the magnitude of sins one committed back in earth. This depiction of hell is inconsistent and symbolizes different treatments to different sins. The treatment of sins is consistent in that it explains properly the kind of people found in each level. Those who committed sins that affected many people are in the high phases whereas those who made mere sins are on the low phases (Lovett 1). On their way out of hell Dante and Virgil climb up to the center of the earth using Satan’s skin which they say looks like rags. This depiction is not consistent because it is only being used to describe the ugliness of Satan and life in hell but in the real sense Satan’s skin does not look like rags. They also say that he sits around the earth’s center which is also not consistent because hell is not just a specific place but the consequences that are experienced on the earth as a result of human beings sinful acts like wars lead to pain on the affected victims thus they experience hell (Lovett 2). The Satan character in the poem Paradise Lost is contrary to Inferno because he says a person’s mind can create hell or create heaven at its own pace. However, according to Dante hell is a specific place that he has been and viewed all the phases in it. In Marlowe`s hell is described as a place with no limits and as being everywhere without a specific location. This is also contrary to Inferno where Dante visits hell as a specific place that is even organized in phases (Strobel & Poole 2). All these depictions of hell and Satan are not consistent because there are too many theories revolving around them. The phrase on the gate means it is a place of hopelessness and once you enter one should never hope to move out of it. The ferry across river Acheron means it’s a place on its own and only the dead souls are supposed to enter hell will regards to their activities when they were human beings. The nine different phases of hell means the distinctions of sins according to their levels thus sins are not always equal. Satan character in Paradise lost means that human beings have the authority to judge whether to end up in hell or in heaven after the physical death. In Marlowe’s the satanic character means that hell includes things like violence and corruption which is done by human beings thoroughly. Thus hell is anywhere people are doing wrong things which are against their moral requirements (Strobel & Poole 2). In conclusion, the two texts reveal the inconsistence there is in the depiction of hell and Satan himself. To get to hell, there are different and inconsistent nine phases to pass through and each phase is symbolic to a particular thing.